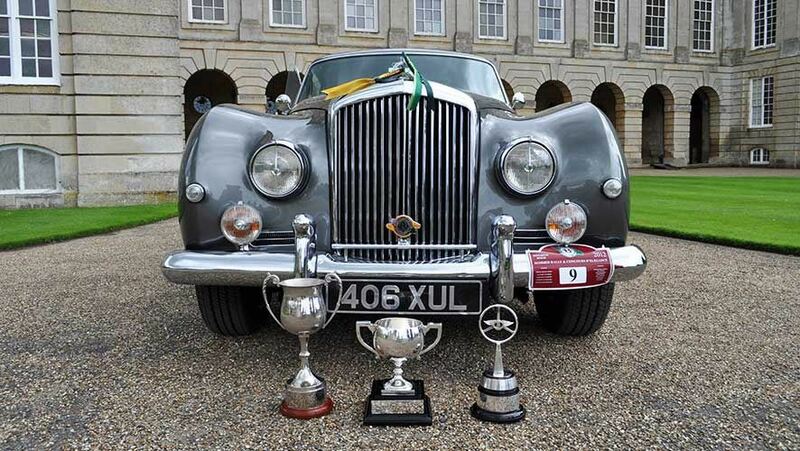 We can advise on Concours criteria and prepare your car to whatever level of entry required. We are experts in taking a car from long-term storage and preparing it safely for the road, or for resale. We specialise in improving interiors and leather seats and often can return them to perfect condition. We are specialists in diagnostics, engine rebuilds or oil change, chroming, paintwork, and interior trimming. Last June this 1957 S1 Bentley Continental Fastback entered The Bentley Drivers Club 2012 Concours d’Elegance held in the grounds of the beautiful Boughton House, near Kettering. Her owners were delighted to learn they had won not one but three trophies including the coveted Overall Concours Winner. We are very proud to have restored this award-winning Bentley Continental. The business was established over ten years ago, providing a friendly and best value service to Jaguar, Rolls-Royce and Bentley owners. We are delighted to see all British Classics. With our combination of practical, award-winning restoration know-how and good commercial experience, we are able to care for your Pride and Joy, leaving you with more quality time to enjoy your classic car. Our workshop ethos is not to cut corners. We do it once and get it right. We have a well-equipped workshop and experienced staff. We specialise in post-war Rolls-Royce and Bentleys, Jaguars and Aston-Martins. We welcome other marques, and are always interested in purchasing good quality cars. Find out more about our services and read about one of our award-winning restorations. We would be delighted to discuss your servicing, repair or restoration plans by phone or in person. We can advise on what is possible for your planned budget and prioritise accordingly. © 2013 Pride and Joy Classic Cars. All rights reserved.